Have you ever heard of the “Immortal Health Elixir”? It’s said to fight disease, regrow hair, and even cure cancer. Okay, maybe it can’t do all that, but kombucha does have some pretty amazing effects. But first, what is kombucha, anyway? Just like yogurt and kimchi, kombucha is made by fermentation. In most cases, brewers will ferment black tea, but some use green teas, coffee or fruit juice. The process dates back thousands of years to ancient China and Mongolia, but has only been popular in North America since the 1990’s. So while it may seem like a hipster fad, kombucha isn’t disappearing any time soon. Many people who drink kombucha swear by it, and claim all sorts of benefits. One of the most common ones it that it aids in digestion and detoxing the body because of all the probiotics it has. Others say it’s beneficial for the immune system and gives those with arthritis more movement in their joints. While there’s no medical science to prove that your homemade “booch” can cure cancer or smooth wrinkles, it is a healthier – and still fizzy – alternative to soda. Switching to kombucha can help with weight loss and give you more energy. 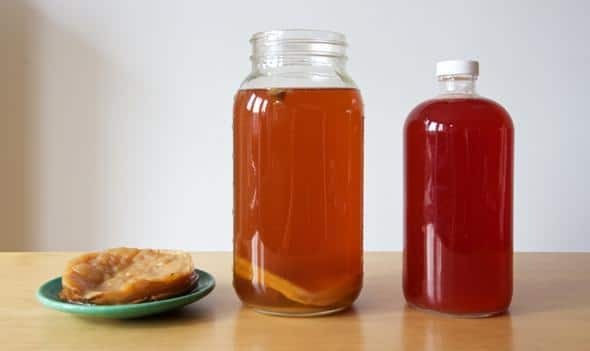 Kombucha is made with something called a SCOBY. It looks like a mushroom, but the word stands for a Symbiotic Culture Of Bacteria and Yeast – get it? 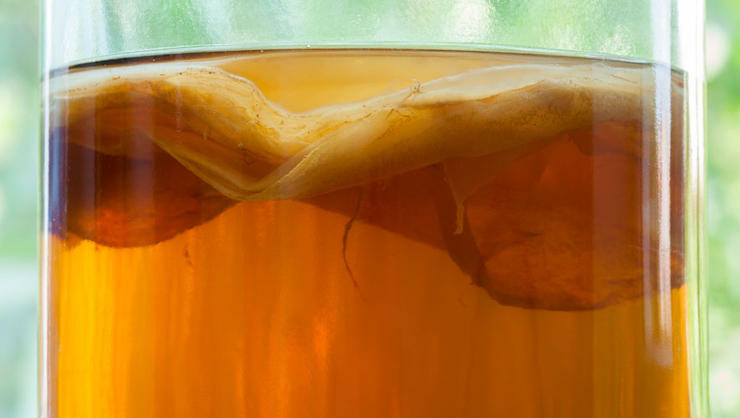 The SCOBY is what transforms your regular sweetened tea into a fizzy, fermented beverage. 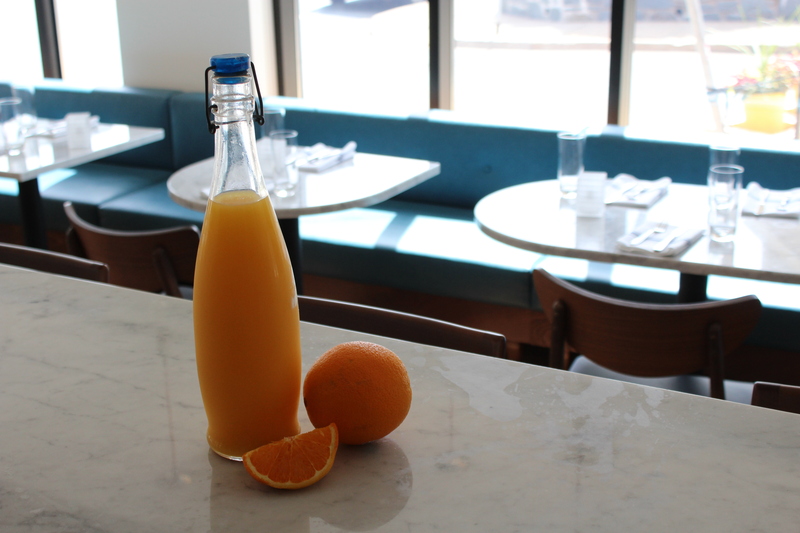 Here at E&V, we’ve been brewing up house-made kombucha to use both in the kitchen and at the bar. Our chef, Lachlan Culjak, always has some kombucha on hand. It’s used to compress our stone fruits before grilling, to marinate bitter greens, and even for extra flavour in the strawberries on the rhubarb parfait! Just enough for that extra little kick. From June 5-11 during Negroni Week at E&V, we’re also adding a little twist of orange kombucha to the classic cocktail. 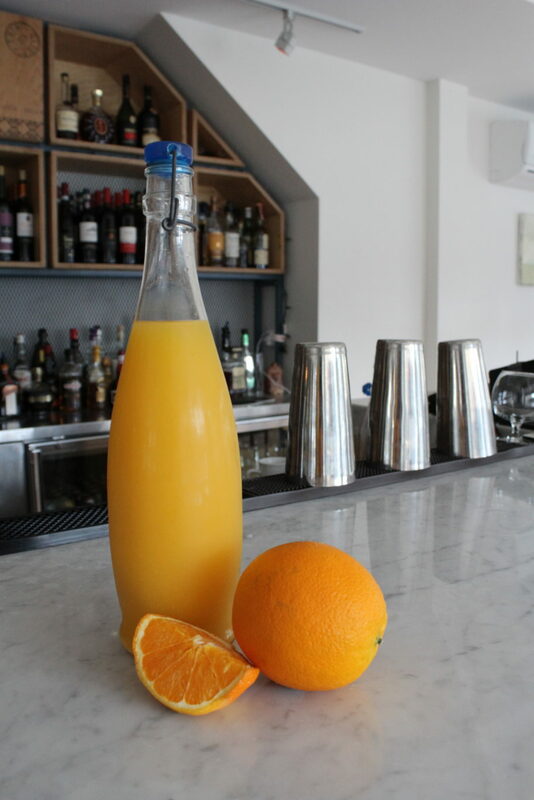 Instead of the usual black tea kombucha, our server Phil came up with the idea to ferment orange juice, and it’s finally ready to try! It adds a sweet twist to the Campari, vermouth and gin drink. Even better – we’re donating $1 from each one to Feed Nova Scotia! Have you been drinking kombucha for decades? Or just curious to see what the new craze is? Head down to E&V to try a Negroni this week before the orange booch is all gone! And say hello to our resident fermentation expert, Lachlan, in the kitchen. We can’t wait to see you!